Supermarket loyalty programs combine the approach of old-fashioned couponing with our obsession to receive rewards and build up points, such as frequent flier miles, hotel rewards and gas rebates. However, rewards cards have their critics, including a consumer advocacy group that claims loyalty programs are an invasion of privacy. U.S. consumers spend upwards of $550 billion annually on groceries, making it understandable that people want to save money with points cards. But are they worth it? Does remaining loyal really save us cash? And is Big Brother really watching us from our shopping carts? Advantage cards or club cards, as they're sometimes called, emerged in the late 1980s as an alternative to traditional coupons, saving stores paper and printing costs, and customers the hassle of cutting, snipping and carrying them. According to the 2011 Colloquy Loyalty Census, there are more than 2 billion loyalty program memberships and counting, including hotel, supermarket, airline and financial services discounts. Convenience. Most supermarket rewards programs are free to sign up and easy to use. If you're a self-checkout kind of person, a rewards card is easily swiped like a debit card, eliminating the need for a stack of newspaper coupons. Think of it as loyalty through the miracle of technology. Real savings and deals: Let's say your average weekly grocery tab is $100, full price. Try shopping for only club card discount items -- often priced anywhere between 25 to 50 percent off -- and you could shave off a good $20 to $50 from your bill. If the savings are had from pricier brand names, even better. Plus, club sales are exclusive and can't be taken advantage of by non-club customers. If you tend to shop exclusively at a particular supermarket, a loyalty program will work well for you. 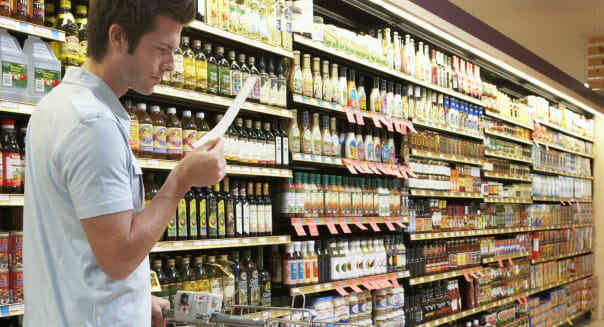 Practicality: Nothing is worse than holding a bundle of coupons for products we don't want. Many stores with loyalty clubs might send customers (through snail mail or email) coupons for the items they buy regularly, since our spending histories are tracked. If you're prone to stocking up on lima beans, flour or grapefruit juice, you'll most likely get to save on these items through your club card. The customer tracking system has gone a long way for public health officials, too. According to a November 2011 report by USA Today, supermarket loyalty programs aided the Centers for Disease Control and Prevention in finding the source of 42 incidences of E. coli and salmonella poisoning across the eastern United States. Officials had determined where the contaminated foods had been purchased by accessing supermarket loyalty club records. The tracking system goes beyond the sole customer; like a fluctuating market rate, it helps supermarkets determine what to line their shelves with and how much to charge. However, the system in place hasn't sat well with at least one consumer group, which says that supermarket loyalty cards are like something out of an Orwellian future world. Many consumers don't mind giving away their addresses or phone numbers to a supermarket if it means saving on spare ribs, cereal or milk. But members of a group called Consumers Against Supermarket Privacy Invasion and Numbering, say that these steps are a form of profiling and an invasion of customer privacy. The group and other opponents call loyalty programs a scheme and maintain that customers, for one, are forced into signing up, or else they receive no sales. Another contention is that by branding club members as loyal, other customers are essentially disloyal, and that, they say, is discriminatory. Perceived savings. Writers for The Street, citing the consumers' group, say that supermarket rewards cards are often the worst and least beneficial customer loyalty programs because savings to shoppers are negligible. They reported that products sold at major grocers with loyalty programs, like Kroger or Albertsons, tended to have inflated prices of 28 to 71 percent compared to card-free stores like Target (TGT). Pressure to overspend. Citing Consumer Reports, The Street also reported that rewards programs do save money, but also woo customers into blowing their savings on higher-priced items, or buying additional products they don't want or need. Too many cards and competition. After signing up for the seventh or eighth grocery store card, it can clutter your wallet and become tiresome to choose where to shop for the best savings. It's a simple business approach to keep stores competitive, but if customers can't decide where to place their loyalty, they'll instead shop wherever is most convenient, or at stores with already-low sticker prices. Unavailable products. Some customers might receive coupons through their loyalty programs for products that aren't carried in the particular branch of their grocery chain, which defeats the purpose of signing up. Colloquy, a research group, predicts that the respectable rise in supermarket cards won't slow, but won't rise much either compared to specialty retail, department stores and drug stores which carry niche or designer products not mass marketed at other retailers. "The grocery industry is not expected to generate much more growth, in part because the sector is already saturated, but also because it has been slow to overhaul its customer-facing value proposition," stated Colloquy's 2011 report. "Grocery companies are using data better, but in terms of soft benefits and in-the-aisle value, they have a lot more ground to cover." Based on Colloquy's statements, what could grocery stores do differently to expand their loyalty program base? Supermarket rewards will always have their supporters and their skeptics, but major grocery chains, to combat competition, could take new and creative steps to differentiate themselves from one another. That could mean lowering prices further, to unheard-of lows, to attract new customers and retain them.